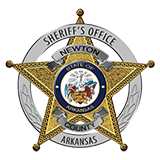 On April 19th, 2014 at approximately 2:00 P.M., the Newton County Sheriff's Office received a call of a man that had fallen from a bluff in the Hawksbill Crag area. Emergency personnel were notified and, upon arriving on scene, found Scott Henrie, aged 29 of Rogers, Ark. wedged between two large boulders at the base of a bluff. Henrie was in and out of consciousness and appeared to be seriously injured. He had fallen approximately twenty feet while free climbing. 51 rescue personnel, many of which were volunteers, from the Newton County Sheriff's Office, Newton County Search and Rescue, Tri-County Search and Rescue, U.S. Forest Service, National Park Service, BUFFSAR, Carroll County Search and Rescue, Mennonite Disaster Services, Arkansas Forestry Commission, North Arkansas Regional Medical Center E.M.S. and Air-Evac responded to the scene. Rescue personnel conducted a high angle rescue, raising Henrie up a bluff face so he could be carried out. Henrie was flown to Washington Regional Medical Center in Fayetteville where he is listed in stable condition with multiple serious injuries to his head, chest, arms, legs and abdomen. At approximately 5:18 P.M. ,while the Henrie rescue was taking place, the Newton County Sheriff's Office received a call of another fall that had just occurred at Horseshoe Canyon Ranch near Mt. Sherman, Ark. An unidentified male had fallen approximately thirty feet while climbing at the resort. The patient was accessible without needing Search and Rescue teams and was flown to Washington Regional Medical Center in Fayetteville. Then, at approximately 2:00 A.M. on Sunday, April 20th, 2014 the Newton County Sheriff's Office received another call of a female that had fallen from a bluff at Horseshoe Canyon. A male and a female were near the edge of a bluff when the female fell approximately ten feet to a rock below. She was transported by ambulance to North Arkansas Regional Medical Center with moderate injuries.